The A-FIDS Flight Information Display System ensures that all relevant information is displayed at the right time, in the right place. Keeping passengers informed is critical for the modern airport – improving passenger experience, passenger flow and subsequently airport operations efficiency. When surroundings are unfamiliar and time is critical, people rely on display systems to guide them to their desired destination. Sophisticated flight information systems have to take existing language barriers into consideration and must provide accurate and complete information at all relevant locations. They have to be easily configurable, must run automatically and should be aesthetically pleasing. A-FIDS is a scalable, state-of-the-art system including multi-lingual display technology. It is designed to display timetables, gate or baggage belt information or other travel/tourist information at any location. 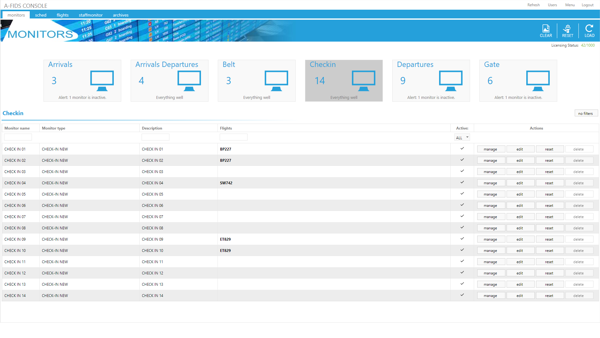 A-FIDS supports external interfaces to web servers to allow pages to be delivered quickly to wherever they are needed, increasing the audience and potentially reducing terminal congestion. A well-designed system contributes to a more efficient facility, and promotes traveller satisfaction. 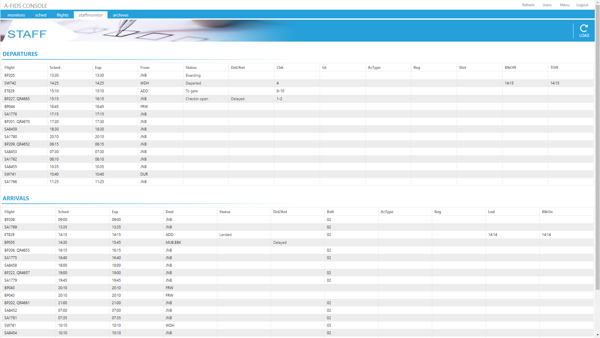 Connected with the Central Database (A-ODB), the system is designed to operate with minimal manual entry. 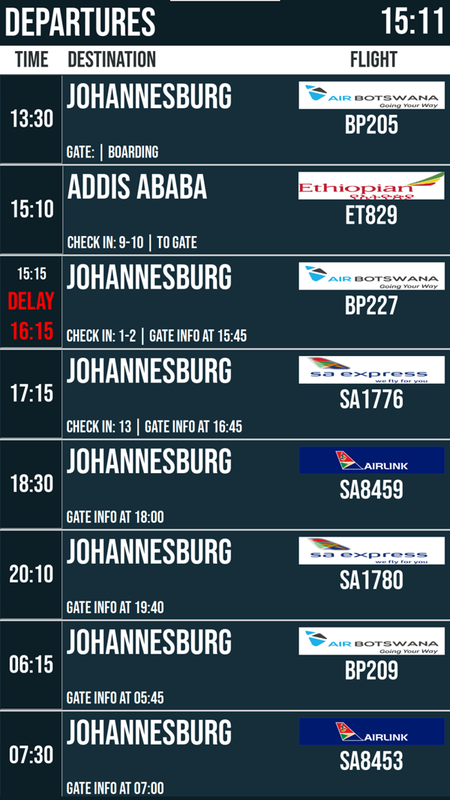 Flight, delay or boarding information, as well as gate or baggage belt assignments, can be processed automatically. 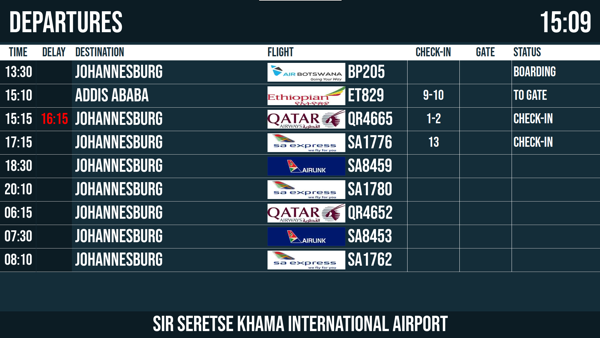 Flight departure/arrival/staff/baggage display list. 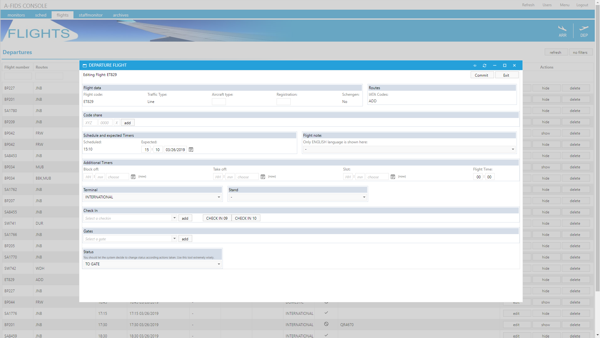 Lists are totally customizable according to the customer needs in system configurations phase.